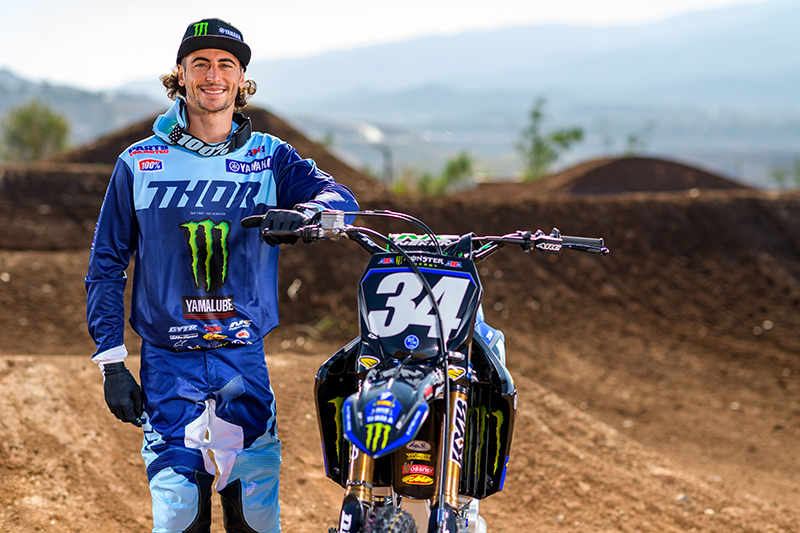 Motion Pro has been an integral part of what is now the Monster Energy STAR Yamaha Team for several years now, providing the team and mechanics with a long line of specialty tools and access to other specialty components.For the 2019 250SX-West coast Series, riders Dylan Ferrandis #34 and Colt Nichols #39 have been a dominating force thus far. 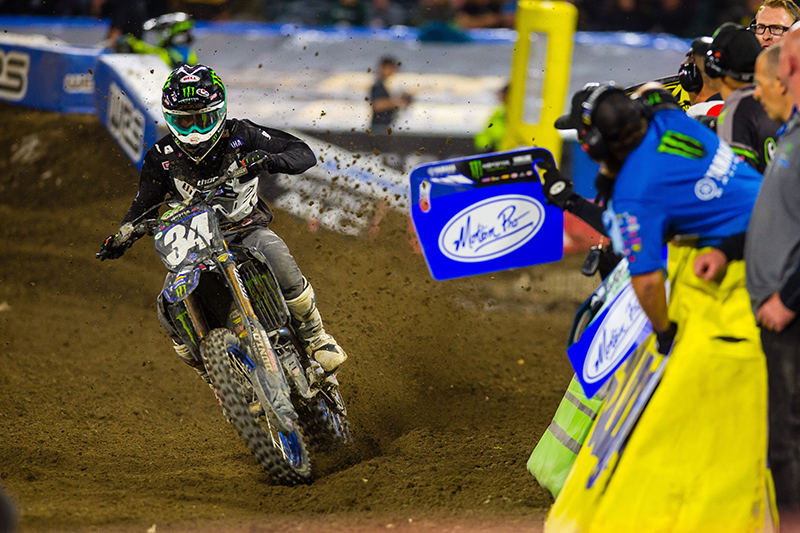 After 4 rounds of racing, Colt Nichols holds onto the red plate as his teammate Dylan Ferrandis is a mere five points behind in 4th place. 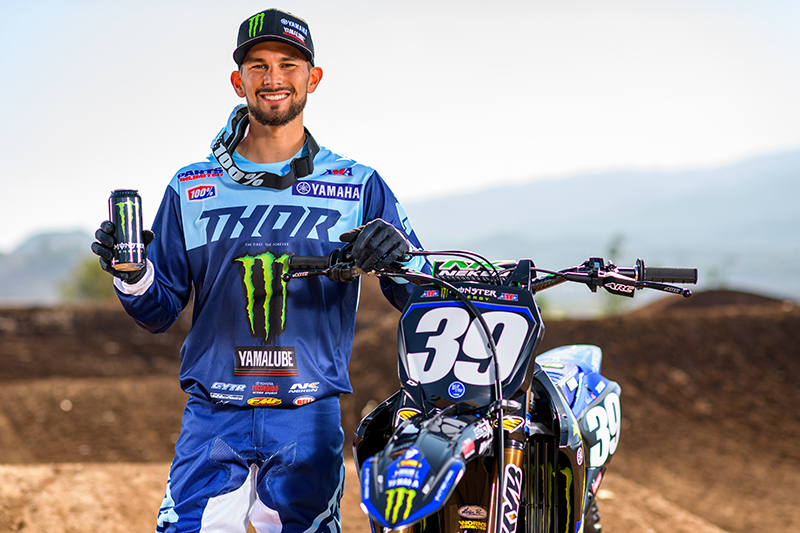 With STAR Racing mechanics Trevor Carmichael and Alex Campbell building and maintaining their factory YZ250F’s, nothing could go wrong, but from time to time riders grab the tools as well. Colt, Dylan - First of all I want to thank you guys for taking the time out of your busy week of training and riding to talk to me! 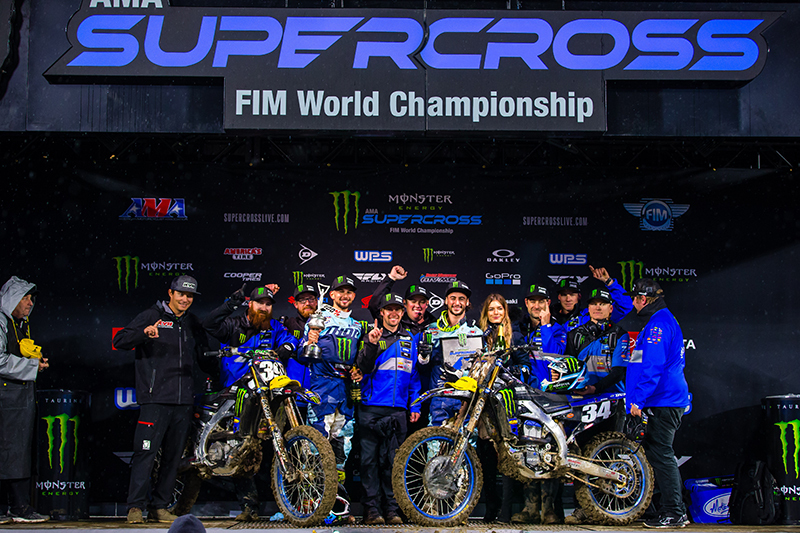 How are things going and what are you up to this week before we head to San Diego for round 5 of Supercross? Colt: All is good. I am in the same routine as usual, riding and training during the week and polishing up a few things for Saturday! Dylan: Things are going great. We knew the rain was coming at the end of the week so I got my training in early in the week. Going into round 5 now, it’s just about being in good shape for Saturday so nothing crazy. Jon: As we all know Trevor and Alex bust their butts throughout the week to build and maintain your bikes, but how often do you pick up the tools yourself and get the job done? Dylan: Im not very good on the wrenches, but sometimes I set my own levers, and I use the T handle but Alex is close by! I also use My motion pro tools daily on my MTB and Road bike! 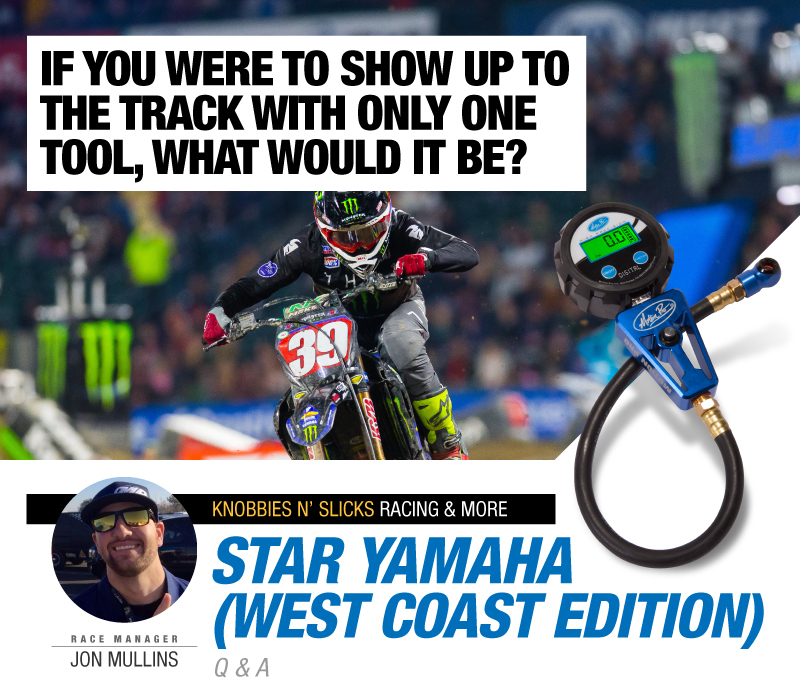 Jon: If you were to show up to the track with only one tool, what would it be? Jon: One last question for each of you. 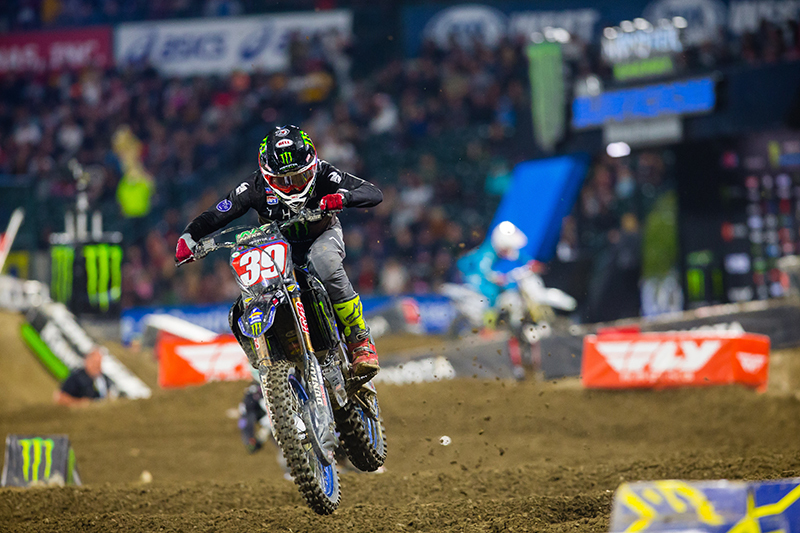 Colt, you have held the red plate since round 1 this season and you are riding awesome, do you look forward to having a break after San Diego this weekend or would you rather keep it rolling? Colt: Yeah… either way for me. I’m having a lot of fun racing right now, so it will be weird when we don’t line up next Saturday to go racing. Jon: Dylan, you have been on the gas with three runner-up finishes so far this year and you seem to really pour it on at the end of each race. 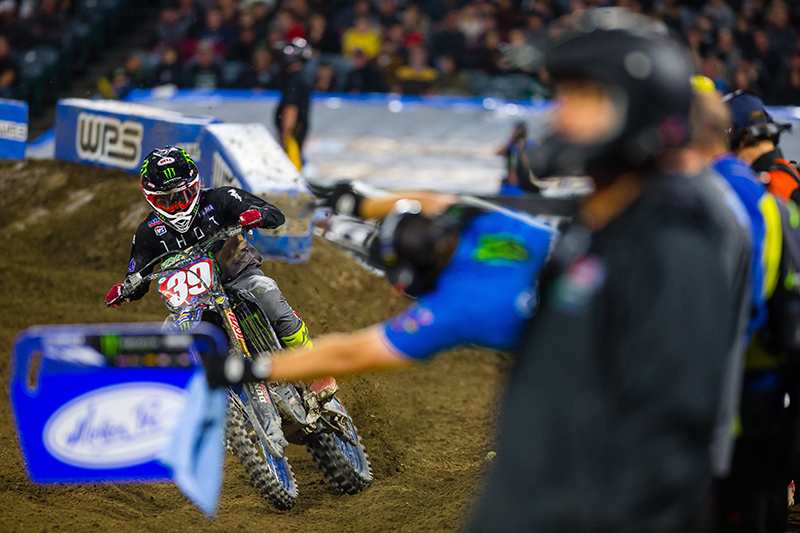 I saw something on social media… tell us a little bit about your incident with the Motion Pro pitboard in the closing lap of the Oakland main event. 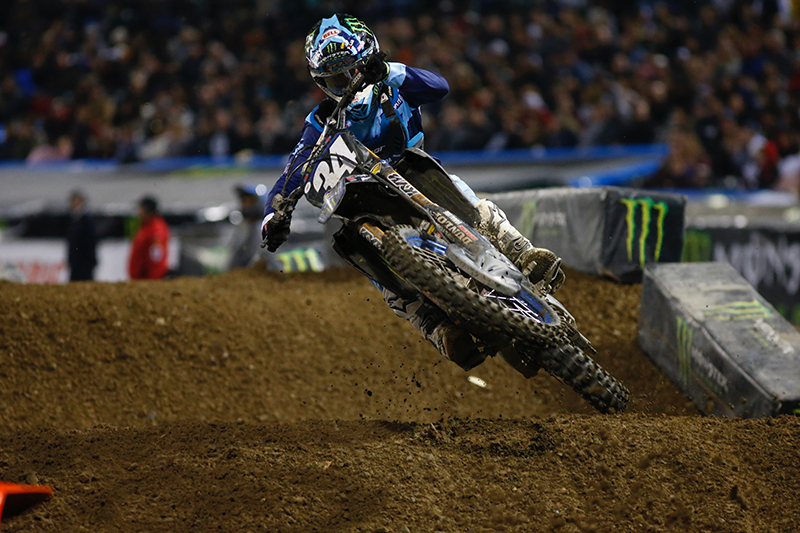 Dylan: Definitely, I am happy with my riding. I used a different line after the pitboard area last weekend in Oakland on the last lap in 2nd place close in on the leader, so I was wide open and went really close to the signal area and got too close to my board and I hit it hard! so luckily it was only the clutch lever and nothing bad happened! Jon: Thank you guys and best of luck this weekend in San Diego!